[0:44] <abnormal> Oh? no one talking? and is everyone scared? [0:47] <Armand> Yeah, I've been on the McDunno's diet. [0:49] <Armand> .CSV vs .SQL..
[0:50] <Armand> SQL = database. [0:50] <Armand> CSV = Freakin' stoopid. [0:51] <Armand> Client asks me if I can import 3.1GB of data, in a .CSV file... to MySQL. [0:51] <Armand> \o/ break all the datas! [0:52] <Vtor_BR> 3.1GB on a single file? [0:52] <Armand> BUT... At least a straight .SQL will work. [0:53] <Armand> Using .CSV is the LEAST intelligent thing to do.. Unless you only EVER work with spreadsheets. [0:56] <Armand> I was happier just to keep a notepad. [0:56] <Armand> I'm a 35yo SysAdmin... and I still keep stuff on paper. [1:00] <therion23> like "no, silly, ever heard of paper?" [1:13] <abnormal> oh? everyone snoozing again? [1:16] <abnormal> I see... what movie? [1:17] <abnormal> ok, how about Man On Fire? [1:18] <abnormal> I used to watch "The Unit"
[1:31] <therion23> am i right in assuming berryboot only handles OS'es that run on ext* filesystems? [1:47] <MY123> therion23: BerryBoot ONLY handles Linux. [1:48] <therion23> think i can do a side by side anyway ..
[1:50] <MY123> therion23: It is more fundamental, the BerryBoot justs chroot to /sbin/init after mounting the selected OS. Will never work for FreeBSD because of obvious reasons. [1:53] <MY123> therion23: But it's possible on New Out Of the Box Software. [1:56] <MY123> therion23: It can with modding fstab but there is no good UFS Linux driver out here . [1:56] <MY123> And will never be :p .
[1:56] <plugwash> is the code under 4 clause BSD or something? [1:57] <plugwash> or is it just that noone can be bothered porting it? [2:06] <MY123> plugwash: No one care about it because the kernel FS API is too different and each *BSD has a different UFS version. The Linux version one isn't for the BSD but for the Windows DVD-RAM variant. [2:12] <MY123> therion23: So is unusable for $Does_Not_Have_JTAG . [2:23] <therion23> oh well, movie time .. later! [2:28] <AliG1000> or attached GPS to a Raspberry Pi? [2:30] <promet> If you have many barrels of blood, will vampires a) not drink from them b) drink from them only after delicious living dwarf blood is exhausted c) drink from them always, if they're handy? [2:50] <AliG1000> Anyone with experience in attaching a small touchscreen to a Raspberry Pi? If so, which screen did you use and how did you fo it? [3:08] <shiftplusone> or does it? [3:55] <AliG1000> Hi - has anyone connected a Raspberry Pi to a small touchscreen? [4:00] <abnormal> yes, look in the raspberrypi.org forums and find touch screen then look for the one that explains in the github site. [4:07] <abnormal> is this it? [4:08] <AliG1000> crikey - what was that link? [4:09] <AliG1000> so far so good, right? [4:12] <abnormal> yes that's a good move..
[4:13] <dr4ke> has anyone successfully got a 3g dongle to work on an RPI? [4:16] <dr4ke> A list is one thing... actually getting one to work is another. [4:17] <AliG1000> It doesn't look overly difficult though. [4:17] <dr4ke> That's sort of my problem. I need to deploy an embedded system like 200 miles away. It will be nowhere near power or wifi and I need to figure BOTH out. [4:18] <dr4ke> Wondering if I actually will. [4:19] <dr4ke> That shouldn't be too hard. Do you have much experience with Linux outside this? [4:21] <dr4ke> Gotcha. Sounds good. Linux is really quite logical once you get the hang of it. I've been Linux only for about 5 years. [4:22] <dr4ke> Have you tried the BBB? I'm super badass but HAAAARD to come by. [4:25] <dr4ke> Yeah... and cheaper peripherals... and more of them. [4:25] <dr4ke> I wish there was an "official" 3g dongle I could buy from adafruit. [4:30] <dr4ke> Cool. I'll give it a read. Thanks! [5:48] * [Saint] suspects even Neil Young will find /that/ ridiculous. [5:49] <[Saint]> Resolution many, many, many, many orders of magnitude greater than that of human hearing? Sure, why not. Faaaaaaaaaaar too much processing power (We can do most lossless formats in realtime with ~8MHz)? Sure, why not..
[5:59] <[Saint]> Its hard to have the discussion about audio quality with them. [5:59] <[Saint]> There really is a point where you can't increase the resolution any more and still gain from it. [5:59] <[Saint]> And, we passed that loooooooooooooong ago. [5:59] <[Saint]> Cramming more bits in there does nothing but add to overhead. [6:07] <DanDare> Anybody knows what raspbian does about security updates? Normal debian have them as backports. What happens with raspbian? Its just merged/included into regular apt mirrors? [6:17] <[Saint]> Raspbian is debian with a few pi specific bits chucked in, and recompiled to suit ARMv6 when necessary. [6:17] <[Saint]> so - same same. [6:25] <[Saint]> Just as I sat down. [6:25] <Xark> Hello. I recently upgraded my RPi firmware and now the boot text console is "low-res" and blurry. I have fiddled with dpkg-reconfigure console-setup but is there any way I can restore the old "hi-res" console framebuffer? [6:25] <DanDare> plugwash, theres any defined update cycle for raspbian, after a update gets available for Wheezy? [6:26] <[Saint]> debian update -> rebuild if required -> testing (I assume) -> push to users. [6:27] <DanDare> [Saint], yeah, but whats the "lag" between debian official updates and raspbian ones? [6:29] <[Saint]> *sooooooo* different to my stripped down version....right. [6:30] <DanDare> plugwash, cool, thanks. [6:30] <DanDare> plugwash, sorry, last question if you up to answer: Why some packages like 'firmware-atheros' arent available? [6:32] <[Saint]> Ohhh, boo bloody hoo. [6:33] <[Saint]> Cry me a revir. That didn't deserve Cpt. Passiveaggressive to pop his head up. [6:35] <DanDare> Xark, maybe thats not some /etc/kbd/config setup ? [6:36] <Xark> DanDare: My understanding is it was a change to reduce memory used for console framebuffer on the assumption that "most people use X" (which is likely true, but I miss a readable console with decent text density - and I don't use X). [6:37] <[Saint]> rpi-update is a strange creature. [6:39] <[Saint]> lots of questionable things do. [6:39] <[Saint]> Xark: dist-upgrade should. [6:40] * [Saint] uses Arch, which handles this in a much saner way. [6:41] <[Saint]> DanDare: possibly, not sure. [6:41] <Xark> DanDare: Perhaps not, but I wanted to "be on the same page" as the masses with this RPi. [6:42] <[Saint]> Do a dist-upgrade run occasionally. [6:42] <[Saint]> Hell, do it every time you apt-update. [6:42] <[Saint]> It can't hurt. [6:43] <[Saint]> ...the same with any upgrade. [6:43] <Xark> plugwash: OK, thanks for the heads up. I have little invested in this SD card though. [6:44] <abnormal> what about update? [6:44] <[Saint]> that's always safe. [6:44] <[Saint]> it does nothing but update sources. [6:44] <plugwash> dist-upgrade on the other hand will add and remove packages to complete the upgrade and sometimes it will remove things you would rather it didn't. [6:44] <DanDare> you mean adding 'testing' to apt and do it ? [6:45] <[Saint]> but, I agree, if you don't watch what apt wants to do...you're likely gonna have a bad time. [6:47] <[Saint]> same with jumping kernels. [6:47] <[Saint]> only do so if there's a valid reason. [6:47] <[Saint]> not to be "up-to-date". [6:47] <[Saint]> if it 'aint broke, etc. [6:49] <[Saint]> On the opposite end of the scale, I trust my own systems so much that I run "sudo apt-get update && sudo apt-get check && sudo apt-get upgrade -y && sudo apt-get dist-upgrade -y && sudo apt-get autoremove -y && sudo apt-get autoclean && sudo update-grub" on a 12h cronjob. [6:49] <[Saint]> that's essentially "upgrade everything, nope, I don't care...just do it." [6:50] <[Saint]> "Oh, and, clean up after yourself...dammit!" [6:51] <[Saint]> testing is rock solid these days and has been for ages. [6:52] <[Saint]> testing essentially is stable now. Even unusable is a bit tame. [6:58] <[Saint]> Actually, I use Arch on _all_ *my* systems. Its just the ones Ms. [Saint] has to deal with that get the Debian treatment. [7:01] <[Saint]> "saint-raspberrypi1"~"*22" makes things...difficult. [7:02] <[Saint]> Quite a few scattered around the house doing menial tasks, the others are anonymizing repeater stations. [7:03] <[Saint]> pi+2 wifi dongles and a bit of magic and the client has a repeater station and access to their account's shared storage. [7:03] <[Saint]> $10/m for all-they-can-eat anonymous wireless N.
[7:04] <[Saint]> Its the only plan where they haven't written it out as a specific clause. [7:19] <plugwash> If the ISP really cared they'd just get rid of the plan and tell you to move to another plan or lose service wouldn't they? [7:30] <[Saint]> Their options are: forclosure, or, wait until I exit the plan. [7:30] <[Saint]> woo! grandfathered plans with poor legalese! [7:31] <[Saint]> They no longer offer this plan to new clients. [7:31] <[Saint]> And haven't for ~4 years. [7:31] <[Saint]> That's about as good as they can get. [7:31] <plugwash> what exactly does "forclosure" entail? [7:32] <[Saint]> going belly up and closing the doors of the company. [7:32] <[Saint]> ie. not gonna happen. Too big to fail. etc. [7:32] <[Saint]> Oh, it does, but there's no "we can just terminate it for any arbitrary reason we feel like clause"
[7:33] <[Saint]> I would have to be in breach. [7:34] <[Saint]> Hilariously, I puch so much traffic through that they needed to update the exchange near my house because it was giving my priority and crippling the rest of the neighborhood. [7:36] <[Saint]> When I spoke to the Chorus (semi-private linesman for TNZ) engineers about the work they were doing, and how long I'd be down for (I can see the exchange from my lounge room window) they said they needed to upgrade that exchange because "some <expletive> was downloading the entire Internet and slowing everyone else to a crawl." [7:36] * [Saint] did not mention that he was "some <expletive>"
[7:38] <Boohbah> you show those evil telcos! [7:43] <RoBo_V> hey techTalkers, Morning ! [7:51] <RoBo_V> guys anyone made transmission web interface working over Putty SSH tunnelling ? [8:32] <anildigital> Guys.. how to connect Raspberry Pi to a Dell monitor which doesn't support HDMI? [8:32] <anildigital> any recommended way to do this? [8:32] <gordonDrogon> anildigital, does it have a DVI input or just VGA? [8:33] <[Saint]> Connect said Dell monitor to another system and use VNC. [8:33] <gordonDrogon> there are adapters now - not too expensive. [8:34] <gordonDrogon> you can get them cheaper, but they work. [8:34] <[Saint]> anildigital: are you able to connect this monitor to another machine? [8:34] <[Saint]> anildigital: many of those converters are pure voodoo. [8:34] <gordonDrogon> anildigital, that page is possible out of date - however straigh forward *cables* do not work, but adapters do work. [8:35] <[Saint]> not the one gordonDrogon linked however. [8:35] <[Saint]> an *adapter* will not work. [8:35] <gordonDrogon> the one I linked works perfectly well. [8:35] <[Saint]> A *converter* will. [8:35] <gordonDrogon> oh adapter/converter. you've just being pedantic now. [8:35] <[Saint]> No. I'm not. [8:35] <[Saint]> Its two clearly different things. [8:35] <[Saint]> And, you know it. [8:35] <gordonDrogon> like who cares. [8:36] <[Saint]> ...the guy potentially buying something needless. [8:36] <gordonDrogon> the link I gave points to a device that works. [8:36] <gordonDrogon> regardless of its name. [8:36] <[Saint]> Yes, and, bravo. [8:36] <[Saint]> No need to rtail me for providing correct additional info though, was there? [8:37] * gordonDrogon blows a raspberry. [8:38] <[Saint]> Yeah, English is fun. [8:38] <[Saint]> FWIW - I didn't actually realize you'd used the term adapter. [8:39] <[Saint]> So, it wasn't (as it may have seemed) a pedantic personal attack. [8:39] <[Saint]> Just trying to make sure OP didn't buy some useless gender changer. [8:44] <anildigital> Does all Dell monitors have hdmi input? [8:51] <amigojapan> anildigital: hmmmm, do you know hte model number? [8:51] <[Saint]> he wasn't asking a question. He was stating "No, not all Dell monitors have HDMI, because Dell predates HDMI by a large margin." [8:52] <[Saint]> You'll likely find DVI the most common input these days. [8:52] <[Saint]> Even ~4 years ago. [8:55] <[Saint]> At face value, yes. But realistically its a place that often forces English, so many people may not be familiar with the languang and its subtleties. [8:56] <[Saint]> And a lot of people imply tone when there isn't a tone to imply. [8:56] <[Saint]> Its easy to assume people are being arrogant, however. But there's a lot of factors in play. [8:56] <gordonDrogon> Dells are typicall made to a budget, so buy a monitor with a PC - if the PC only has VGA, so will the monitor. [8:57] <[Saint]> wost part is you can see the monitors are often rather generic and the port is just *missing*. [8:58] <[Saint]> Like, they saved a few cents not adding a port that would function if they did. [8:59] <[Saint]> charge the few cents more on MSRP. [9:48] <Triffid_Hunter> neutrino: did it rip off copper traces? [9:50] <neutrino> why not ? [9:52] <plugwash> if they don't care about safety regs do you really think they will care about EMC? [9:54] <plugwash> as the timescales get shorter wires start acting more and more like inductors. [9:54] <neutrino> the inductance and resistance of the wire is enough to cancel out the capacitnace ? [9:58] <[Saint]> Its very hard to diagnose this issue in reality. [9:58] <[Saint]> Lots of users will swear their PSU is adequate. [9:59] <[Saint]> ...based solely on what the PSU claims. [9:59] <neutrino> Triffid_Hunter: cool .. so where did you plug in caps onboard ? [10:00] <plugwash> that comes under the category of "larger slower slurps"
[10:02] <[Saint]> Triffid_Hunter: what's with the discolouration on the PCB? [10:02] <[Saint]> looks like that wee girl got _hot_. [10:03] <[Saint]> plugwash: I do, yes, but its remarkably inconsistent. [10:03] <[Saint]> so much so I didn't believe it to be lighting. [10:04] <[Saint]> but, its possible. [10:06] <[Saint]> Ah - yeah, sure. [10:09] <[Saint]> Oh, great. Just what I always wanted. A massive user switch pane that takes up the space two tabs could occupy. [10:09] <[Saint]> Thanks, Google. Thoogle. [10:10] <[Saint]> plugwash: if you find a way to remove them without actual abrasion - lemme know. [10:17] <gordonDrogon> right. 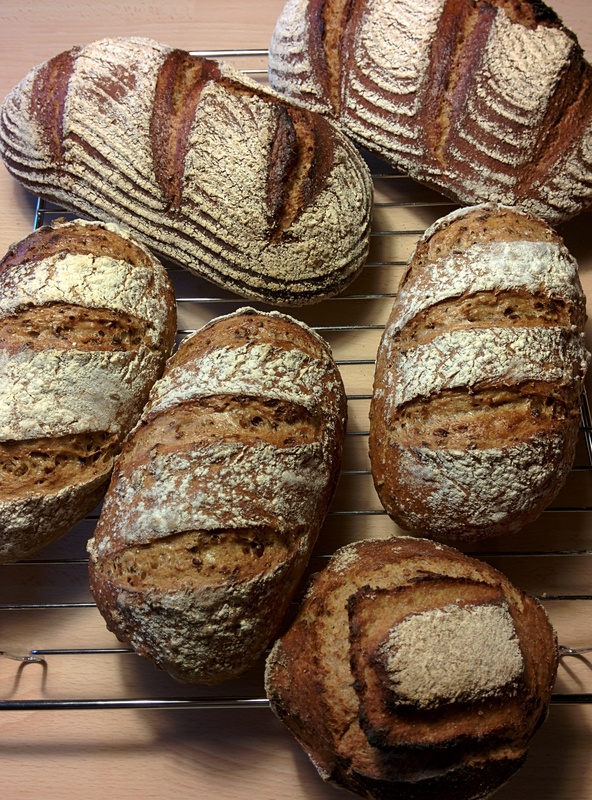 baking done for another week. only 18 loves this morning. [10:18] <[Saint]> though I'm not sure what scoring system that is. [10:19] <gordonDrogon> some sport where they lob balls over a net at each other? [10:19] <gordonDrogon> using big stringy bats..
[10:21] <DoctorD90> just a simple question. i have read about (on b+) that they have added a fuse on 5v .....what does this mean? that now there isnt more problem to burn cpu? [10:23] <gordonDrogon> there is a resetting "polyfuse" on all Pi's. [10:23] <plugwash> There are a number of changes to the power circuitry on the b+ but none I would describe as "added a fuse on 5v"
[10:23] <gordonDrogon> On hte B+ its rated at 2 amps, on the B/2 its 700mA. [10:24] <gordonDrogon> it means nothing really. [10:24] <gordonDrogon> a polyfuse is a self resetting fuse. [10:24] <gordonDrogon> use google to find the details. [10:25] <[Saint]> "it means nothing" is a little bit of a stretch. [10:25] <[Saint]> it means you can actually finally draw a reasonable amount without the pi falling over. [10:25] <DoctorD90> btw, now on 5v, with stuff that exceed of 5v, i dont have risk to burn up all or i have bad interpreted? [10:26] <gordonDrogon> DoctorD90, the fuse protects the Pi (and possibly the PSU) against overcurrent, not overvoltage. [10:26] <DoctorD90> ah! ampere. ok! [10:27] <DoctorD90> is "changeable" the polyfuse? [10:27] <[Saint]> in theory, but, why? [10:29] <RoBo_V> gordonDrogon: yes it charger only or I have to use that charger along with 3.7V lipo x2 and buck converter, is that so ? [10:30] <DoctorD90> [Saint]: to learn :P ok...so i have bad interpreted while i was reading :) next one. new2 I2C (sd_sc and the other uf i remember well) will be used with some board to load by eeprom stuff. after startup, is possible use it as i2c? [10:32] <gordonDrogon> DoctorD90, the Pi has 3 I2c ports - the one that is normally usable on the B is still usable on the B+ but there is a separate one for reading a configuration eeprom for the HAT specification. [10:33] <Tenebrous> any linux people know how to find what is continuously accessing the sd card? [10:34] <gordonDrogon> I thought there was a separate one dedicated to the cameras ... but I could be wrong. [10:35] <DoctorD90> and ok, but i2c related to eeprom reading, on png on site, says that eeprom is readed only at startup....so then it became a normal pin/i2c? [10:38] <gordonDrogon> best not to. just leave it alone. There are other GPIOs to use and the existing I2C. [10:39] <gordonDrogon> maybe the Pi's the wrong device if you need 2 I2C busses. [10:39] <gordonDrogon> remember one I2C bus can control dozens of devices. [10:40] <DoctorD90> uhm......yea! xD what a dumbass! i forget! sorry me so!! really sorry! [10:40] * gordonDrogon looks at his desk... dozens. [10:40] <gordonDrogon> mayby I2C isn't the best way to control motors? [10:43] <[Saint]> Woo! Finally completed, I have some numbers. Lighting my entire house has dropped from consuming (at peak) 1400W to 208W. [10:44] <gordonDrogon> [Saint], LED lighting? I'm slowly moving mine over to that. [10:44] <plugwash> what were you using to light it before? [10:44] <gordonDrogon> I haven't found some nice 'candle' type LED lights yet. [10:44] <[Saint]> Normal incandescant bulbs. [10:45] <[Saint]> LEDs are a lot brighter, and have a much "cleaner" light. [10:46] <[Saint]> The first gen LED home lamps were garish. [10:46] <[Saint]> There's also no silly warmup/cooldown period with LED. [10:46] <[Saint]> Its light, right there, instantly. [10:47] <[Saint]> CFLs take a good minute to come up to full brightness, and glow for a couple of minutes afterwards. [10:47] <DoctorD90> thx for 2nd message btw! [10:47] <gordonDrogon> the ones I have in my kitchen (GU50 replacements) do take 1/4 a second to start. [10:47] <Tenebrous> DoctorD90: https://code.google.com/p/owenquad/ ? [10:48] <DoctorD90> igo to google! [10:48] <gordonDrogon> right. breakfast time. back later. [10:48] <[Saint]> anyway, yeah, the warmup/cooldown time is why I ousted the CFLs and went LED. [10:49] <[Saint]> also - longevity, but, LED is making some bold claims there since its not exactly torture tested in-home. [10:50] <[Saint]> they're only ~120% the cost of CFL here. [10:51] <[Saint]> y'know, if everyone switched to CFL right now, the peak demand power would halve? [10:51] <[Saint]> think big, etc. [10:52] <[Saint]> lighting is one of the prime consumers in homes/businesses. [10:53] <[Saint]> second only to water heating. [10:55] <[Saint]> I only have numbers for Australasia, though. [10:55] <[Saint]> And we're not big on electric heating. [10:55] <plugwash> are you big on aircon? [10:56] <[Saint]> I have a heat exchanger, sure, buts is incredibly efficient. Lighting half the house costs me more (or, did) than heating it. [10:59] * [Saint] notes that learning C is only ever a good thing. [11:00] <plugwash> yeah, C would certainly be on my list of reccomended languages to learn. [11:01] <[Saint]> Well, apparently you have a pi. [11:01] <[Saint]> Or, are planning on it. [11:02] <anildigital> which OS to run to run a good browser? [11:03] <[Saint]> There's nothing wrong with using someone elses' code in your projects. [11:04] <[Saint]> If you limit yourself to only using your own code, it will be very easy to get frustrated and lose interest. [11:04] <[Saint]> Let other people do the menial tasks for you. [11:04] <[Saint]> No sense re-inventing the wheel. [11:05] <[Saint]> From a purely education basis, I understand you goals. [11:05] <[Saint]> But its very easy to get overwhelmed here. [11:09] <RoBo_V> RPi battery back & charger : http://www.aliexpress.com/item/1Pcs-5V-Micro-USB-1A-1000mA-Lithium-Battery-Charging-Board-Charger-Module-Brand-New/1447947500.html and 3.7V lipo x2 , what else I need ? [11:12] <DoctorD90> ESC....i remember this word.....what it stand for? [11:16] <[Saint]> that sounds failure prone. [11:17] <[Saint]> but I may be misinterpreting your intention. [11:22] <DoctorD90> ??? why [Saint] ? [11:28] <amigojapan> DoctorD90: depending on what you want to make, servos may be good, otherwise, maybe use an h-bridge? [11:37] <DoctorD90> im only thinking, that as [Saint] said.....once i will get rpi, i will learn c xD my phone cant help me to do this, but with a rpi i can :P ....saying this, i go on beach! good day! [11:38] <[Saint]> If its an Android phone, and you're rooted, you might be surprised what its capable of. [11:39] <[Saint]> debian chroot install, Android VNC client, ...boom, mobile debian. [12:34] <RahulAN> any one here? [12:43] <gordonDrogon> RahulAN, what do you want to do with I2C ? [13:08] <gordonDrogon> ah right. I think you mentioned this a few days ago. [13:09] <gordonDrogon> 0x4C is correct and 0x98 is also correct. Shift 0x98 >> by 1 bit and you get 0x$c. [13:09] <gordonDrogon> so you use 0x4C in your code to access it. [13:10] <gordonDrogon> The bottom bit of an I2C address specifies a read or write operation. [13:53] <MY123> Getty: Wayland EGL ? [13:55] <MY123> Getty: Clutter on Wayland is hardware-accelerated. [13:56] <Getty> ok! good so i WANT wayland? [14:01] <Getty> so raspbian wayland i cant use? i must compile own? [14:03] <Getty> MY123: that post is not really helping i mean even the answer is saying "we package it up, hold tight"
[14:03] <MY123> Getty: Yes. It is not their fault as the patches are not yet mainlined into the userland tree. [14:04] <shiftplusone> Getty, do you expect one guy to customise thousands of packages and divert from debian? [14:05] <shiftplusone> though it doesn't sound like you're after wayland at all, I'll leave you to it. [14:05] <Getty> shiftplusone: why is it _IN_ if its clear known that it doesnt work? [14:08] <Getty> on 6.9. i want to attach a screen to the raspberry pi and show the application running, getting data over the threading from the main task, so its crucial for me to "have the way"
[14:09] <MY123> Getty: Install the weston package and run it. run the program with the terminal and say "I like 5fps". [14:10] <shiftplusone> Just out of curiosity... if you don't need hw acceleration and clutter works in X, what's the problem? [14:10] <Getty> cant i do that via SSH? [14:11] <MY123> Getty: X :0 & ? Via remote. [14:11] <shiftplusone> Doesn't make sense, but I'm sure you know your requirements better than we do. [14:11] <anildigital> what is recommended memory card size fo wheezy-raspbian? [14:12] <shiftplusone> anildigital, 4GB will work with raw images and the netinstall. 8GB is better if you want more room to play around with. [14:12] <MY123> Getty: Run startx with SSH. [14:13] <shiftplusone> Getty, as you have figured out, not many people need to do that. And nobody who has done it is here right now, so you'll just get people trying to help without actually being helful. [14:13] <Getty> MY123: if i take away the DISPLAY of my clutter app i get an error! [14:15] <MY123> Getty: Recompiling clutter with DirectFB support is needed . Why do you want to avoid X like the plague ? [14:17] <MY123> Getty: If I follow the same way as you, I would throw Linux for an RTOS . [14:20] <MY123> Getty: With shared libs, you can compile just a part of the world. [14:20] <MY123> Getty: Try ajtarks OpenVG lib. [14:22] <MY123> Getty: Do you know Go ? [14:22] <Getty> MY123: i know............................... where is this going to? [14:22] <Getty> MY123: "I want to keep my existing code form and not switch to C"
[14:24] <MY123> A small lib. [14:27] <MY123> Getty: The docs are public. There is a full OpenGL 2.0 in beta implementation for VC4 in the Mesa Git tree. [14:28] <MY123> Getty: I have some prebuilt packages for Wine on ARMv6 but not the rest. [14:29] <Getty> thats impressive, does it..... work? i mean.... how fast is it? you used original windows libs or cant you use them on ARM then? [14:30] <MY123> Getty: I recompiled PuTTY and Firefox for Windows in it. Nearly RPi native speed. [14:32] <Getty> so wait, just to get that straight, primary its about recompiling clutter and cogl with the /opt/vc in, or? [14:33] <MY123> Getty: Or Waiting a month and recompile Mesa only. [14:33] <Getty> MY123: mesa only was the directfb way, right? or what you mean? [14:34] <MY123> Getty: Mesa is full GL and supports X11,Wayland, KMS, DirectFB,..
[14:35] <Getty> ah ok.... and i need to recompile mesa with the /opt/vc stuff so that it works with raspberry, right? [14:36] <MY123> Getty: Mesa is a 3D lib like the WDDM for Windows. It does not need other things. [14:39] <MY123> Getty: The mailing list Wayland link has Wayland recompile instructions, hope you have eyes. [14:41] <MY123> Getty: Wayland is more complicated thing. If you are a Linux n00b , don't try it or wait an autobuilder to do the work. [14:41] <Getty> i am no linux n00b, never said that and never showed a sign for this, why you think that? [14:41] <MY123> lord4163: ICMP PING ACK. [14:44] <MY123> Getty: A Debian system administrator. [14:44] <MY123> lord4163: Wheezy or Jessie ? [14:47] <MY123> Getty: Always have the debian search in a dedicated tablet. It is sadly not in the main tree yet. [14:49] <MY123> Obviously, does not know everything but just 700 libs(the most commonly used ones. [14:52] <lord4163> MY123: Any idea? [14:54] <MY123> lord4163: Did you have a power cut or unplugging a pi before running "telinit 0" before ? [14:55] <lord4163> MY123: What's telinit? [14:57] <lord4163> Stupid raspberry pi, unstable as hell. [14:58] <MY123> lord4163: Do you have a MICBNARM power supply (Made In China By Not A Reputable Manufacturer) ? [15:00] <MY123> lord4163: SD card ? [15:00] <MY123> Do you overclock ? [15:01] <lord4163> MY123: but before I had the UPS I had to reflash after each power cut, seems like a very bad SD card. [15:01] <lord4163> MY123: But I must be able to fix this issue ? [15:02] <MY123> lord4163: Maybe. Fsck . [15:03] <lord4163> I can do that while the system is running? [15:03] <MY123> lord4163: You need another Linux PC. [15:05] <lord4163> but then I have to shutdown, anyway just fsck /dev/mmblk0p2? [15:05] <MY123> lord4163: Yes. It may be another thing depending on the brand. [15:08] <MY123> lord4163: I recommend using a good SD card . Soldered mine to the Pi. [15:08] <MY123> You can unplug it without problems. [15:10] <MY123> lord4163: My card was half a card full inside and the rest is plastic. Just soldered the first part. [15:27] <lord4163> MY123: Any more tips? [15:28] <MY123> lord4163: Saving and reimaging with NOOBS to restore more quickly. [15:38] <lord4163> What should be in /detc/default/locale? [15:46] <lord4163> gordonDrogon: Ofcourse there are updates? [15:46] <gordonDrogon> sure - lots of updates, but not a ditrisubtion upgrade. [15:47] <lord4163> Why don't people understand that command? [15:48] <gordonDrogon> it's done nothing for me for a very long time in Raspbian. [15:48] <gordonDrogon> the usual update/upgrade pulls in new kernels. [15:49] <neutrino> anildigital: which distribution ? [15:50] <shiftplusone> lord4163, eh? just upgrade doesn't touch the kernel? [15:51] <neutrino> how are you powering your pi ? [15:51] <anildigital> neutrino: to me? [15:52] <neutrino> is it one of those non standard mobile chargers ? [15:53] <neutrino> anildigital: and the keyboard and mouse worked earlier on this charger ? [16:16] <gordonDrogon> lord4163, I shall carry on in my ignorance them. Happy to watch apt-get update/upgrade pulling new kernels on the Pi. Not sure what you are seeing, but it pulls in new kernels for me. [16:24] <faLUCE> hello, can you suggest a good rf transmitter (+ project) that works with raspberry? [16:24] <Bilby> faLUCE what kind of payload are you looking to transmit? [16:26] <Bilby> faLUCE audio / video / serial data / TTY ? [16:26] <wcaleb> any ideas on how to tell? [16:26] <Bilby> wcaleb offhand that sounds like a hardware problem. are you using it directly in the pi or through a usb hub? [16:28] <Bilby> wcaleb Start with the basics, have you tried the adapter in a laptop to ensure it works okay there? [16:29] <wcaleb> no i haven't; i only have MacBooks, would that still be possible? [16:29] <Bilby> faLUCE do you have documentation for the protocol already? [16:36] <Bilby> did your pi power source come from the kit too? [16:36] <gordonDrogon> lord4163, well it does. always has done on the pi. rpi-update is the way to get the latest foundation kernels though AIUI. [16:37] <Bilby> that sounds like a hostile RF enviroment. are you near your AP? on a channel that isn't full of crap? any high-powered AP or wireless devices nearby? [16:37] <Bilby> when you get packet loss, can you still ping your router? [16:37] <lord4163> gordonDrogon: I don't know about rpi-update, don't know what that is or what it does, I was referring to apt-get. [16:53] <shiftplusone> Couldn't find anything about apt-get upgrade not pulling in kernel updates. If that 'feature' is documented, then it's well hidden. And by the sounds of it, if it's the intended behaviour, it doesn't work. [16:55] <Bilby> can you set up a local AP for temporary testing? [16:57] <wcaleb> Bilby: e.g., create a network from my MacBook and try connecting to that? [17:00] <shiftplusone> gordonDrogon, any chance that it's the default behaviour of standard debian? On the pi, it's the raspberrypi-bootloader package, which will update the kernel any time it's updated. On standard debian, maybe only a specific kernel version is installed, then kernel upgrades are introduced as dependencies for one of the base packages? That's the only explanation I can come up with anyway. [17:01] <neutrino> i found out about WEB web browser ! [17:02] <shiftplusone> have you tried it? [17:02] <shiftplusone> and I think they're just going to call it epiphany, since web is a little... yeah. [17:02] <neutrino> nope ... going to ..
[17:03] <neutrino> whats acelerated then ? [17:06] <shiftplusone> why do you think that would be a good idea? [17:07] <MY123> neutrino: Python runs on the GPU. but NodeJS is sadly not ANSI. [17:08] <neutrino> the raspi python runs on gpu ? [17:08] <MY123> neutrino: No, but a freeblob internal build. [17:09] <MY123> neutrino: In 6 days as I prepare my bags for the return of holidays, the PC is already there. [17:10] <MY123> neutrino: I would also release a version which runs in Linux using the mailbox API. [17:15] <neutrino> shiftplusone: non-blocking code would benefit by using gpu right ? [17:17] <MY123> neutrino: The problem is intercommunication. [17:18] <shiftplusone> neutrino, take a look at some of the highly specialised algorithms that have been ported to the gpu. After a lot of time and effort, you get about 10-15 times faster execution. If you take generic code which which qpus or qpus are not specially designed for, you're just not going to see any improvements. [17:19] <DoctorD90> Triffid_Hunter: hey, what was motor you have suggested me today?? lsbd? [17:21] <neutrino> MY123: have you got to the pointwhere the VPU is usable ? [17:22] <MY123> neutrino: The first core using Freeblob and the second core when the blob is running. [17:24] <MY123> shiftplusone: simonjhall could run the X server and apps in VPU and live in peace. [17:27] <MY123> shiftplusone: No. The linpack benchmark is *only* 40percent lower and the VPU have SIMD so finally can be faster, especially when using 2 cores. [17:27] <neutrino> MY123: the same simonhall who won th 10k bounty to run quake3 ? [17:27] <shiftplusone> don't care about linpack benchmarks, I'm talking about real use. [17:29] <MY123> shiftplusone: The same when using a good GPU-side USB stack. [17:39] <MY123> Anyway, trying to correct the GCC port for VC4. [17:44] <MY123> shiftplusone: What is the current compiler used in BCM ( may be MetaWare )? [17:45] <shiftplusone> Don't ask me these things. You know I can't/won't say anything. [17:51] <gordonDrogon> shiftplusone, sorry - been in the garden... on normal debian, the usual apt-get update/upgrade will update the kernel and any initrd associated with it. You don't need a dist-upgrade for that. [17:54] <shiftplusone> I thought so too. lord4163 sounded really sure and if someone says something with a lot of confidence, it must be true. [18:10] <willmore> The B+ is completely full of awsome. [18:11] <neutrino> ahhh why so mr willmore ? [18:13] <willmore> The board layout is way improved over the original B and the electrical issues with that board are fixed. Plus, it's pretty. [18:14] <benny-> anyone has a B+ next to him, and can check if he can pull out microsd card when its "locked"? [18:15] <MY123> benny-: You click on it to pull it. [18:17] <MY123> benny-: On my B , I soldered the SD card, should be possible on the B+. [18:17] <willmore> benny-, the socket is a push/push type. If you pull it out, you'll break the clickey retaining mechanism. [18:18] <willmore> Or, maybe I misunderstand what you mean by 'locked'. [18:18] <lord4163> shiftplusone: Ah maybe it's different on Debian then, on Ubuntu kernel packages are being held back, and packages which introduces new dependencies you can't upgrade either, then you need dist-upgrade. [18:19] <MY123> benny-: You had destroyed part of the mechanism. [18:20] <shiftplusone> lord4163, ah, fair enough. [18:21] <shiftplusone> benny-, it can be pulled out, yes. [18:21] <benny-> you did just try shiftplusone? [18:22] <Bilby> hey has anyone worked with epson's video-over-network setup for projectors? [18:23] <shiftplusone> benny-, eh? there's more than enough friction there to hold the sd card in my pi. [18:27] <MY123> Bilby: Be wary of some children which will add a jumper to pin1&2 of the GPIO . [18:29] <willmore> MY123, beware of *all children*. [18:30] <MY123> willmore: Some of them throws smartphones to the garden. [18:33] <MY123> benny-: The Kurio tablets should had never be created. Locked-down and with Allwinner chips ! [18:35] <willmore> Getty, the B did seem a bit crazy with its connector placement. [18:35] <MY123> Getty: I plan to release a compute module workstation with an UEFI secure boot in the eMMC. [18:36] <Bilby> MY123 really? why? [18:36] <willmore> I like the absurdity of a Pi hooked to a 23" 1920x1200 monitor with a full sized keyboard. [18:37] <MY123> Getty: An iMac style cheap system is my thought. [18:37] <willmore> Anyone with a B+, look at that lone capacitor just below the GPIO header. [18:38] <willmore> Yep. :) Love it. [18:38] <willmore> I wonder if that qualifies as an easter egg? [18:39] <willmore> Getty, I haven't looked at the schematic, but, if you have 64 caps, then you could just mess around with the numbering. [18:39] <willmore> 'logical' is probably something that could be argued. [18:39] <MY123> Bilby: As the BIOS doesn't work on AcornRM. [18:42] <benny-> is there some HQ codec which i can use with pi, without buying mpeg codec? [18:42] <MY123> Bilby: That UEFI Pi will boot from a DVD and from a HDD. [18:42] <willmore> Getty, given the amount of thought that went into the B+ (vs the B), then I think it's possible that it's intentional. [18:42] <benny-> this works without buying any codec and gpu? [18:43] <willmore> benny-, yeah, H264 comes with it. [18:45] <gordonDrogon> willmore, are you looking at c64 below the GPIO? [18:46] <willmore> Found the schematic! [18:47] <MY123> willmore: I have the full shematic also. [18:47] <gordonDrogon> the schematics online? [18:47] <MY123> gordonDrogon: The full, not partial. [18:48] <MY123> willmore: Do you want me to give you the full one ? [18:48] <gordonDrogon> MY123, where is the full one? [18:49] <MY123> gordonDrogon: Was a small leak quickly corriged by e14. [18:49] <willmore> MY123, if you would, I would appreciate it. [18:49] <MY123> ( had the time to download it ) it was the 1.0 one, not much diff. [18:52] <willmore> MY123, PM me if you would. [18:52] <gregor2> why is raspberrypi so poupular? [18:52] <gordonDrogon> diff from the B? [18:52] <gregor2> arnt there more such small computers? [18:52] <willmore> gregor2, cheap and good enough. [18:53] <gordonDrogon> that, and the fact that a lot of people are keen to encourage its use in education. [18:53] <willmore> I want to figure out what U8 does on the B+. [18:55] <gordonDrogon> if you can identify the chip ID if might give a clue. [19:02] <willmore> There is some kind of logo, but it just looks like a circle to me. Probably just an orientation registration mark. [19:05] <shiftplusone> eh? 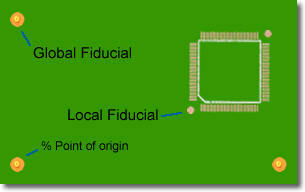 are you talking about the fiducial marks? [19:06] <willmore> shiftplusone, that's probably what it is. [19:06] * willmore never got in the habit of calling them that. [19:07] <shiftplusone> that sort of thing? [19:07] <willmore> shiftplusone, I'm pretty sure that's what it is. There is a mark on the silkscreen that matches up with it. [19:08] <willmore> shiftplusone, yeah, there is an L shape around that corner on the SS and a circle on the chip in that corner. [19:09] <willmore> So, it's probably not a logo. Which leaves the "53L" as the only meaningful identifier. [19:09] <willmore> The chip looks like a TFBGA or similar. 1mmx1mm 8 or 9 solder balls in a 3x3 matrix. [19:12] <willmore> no, it's a tiny little 1mm x 1mm chip with solder bumps on the bottom. [19:14] <willmore> OnSemi says the case is a WLCSP9. [19:16] <willmore> The last page of the data sheet says it is 1.14mm x 1.14mm and the 3x3 grid of balls are on .4mm alignment. [19:18] <RoBo_V> guys how top auto start some program at boot ? [19:20] <shiftplusone> RoBo_V, eh? are you asking how to auto start or how to stop something from starting? [19:20] <RoBo_V> shiftplusone: Im asking how to auto run some service every time when system boots. [19:26] <RoBo_V> shiftplusone: scripts listed in /etc/init.d/ or this /etc/rc.local ?? [19:27] <shiftplusone> 'initrd' script... wth was I saying? Sorry, rc script. [19:27] <shiftplusone> yeah, what willmore linked is about the rc scripts. [19:29] <shiftplusone> I think there's a skeleton script provided somewhere, but I don't know where it is off the top of my head. [19:30] <shiftplusone> but yeah, no shortage of information from google. [19:34] <Xano> I use my pi for RaspBMC and it worked fine until two days ago. I tried to use it again through my TV today (Pi is always on continuously) and there was no video output. Only the red light is on continuously. The docs say that in this case it is a power issue. I read about the F3 polyfuse, and I’d like to know whether the red light can be on if the fuse is broken. [19:35] <Xano> I have already tried multiple power sources and verified that the SD card is still readable. [19:36] <Xano> ShorTie: THanks. That’s what I thought would make sense. [19:37] <ShorTie> got another sdcard you can write a fresh image too ?? [20:10] <ShorTie> how you get minicom to start on boot ?? [20:11] <Xano> shiftplusone: Wouldn’t all LEDs be completely off if the wuse was broken? [20:12] <shiftplusone> Xano, no, not necessarily. [20:13] <Xano> Is there a way to easily transfer library config from one SD card to another? [21:14] <Xano> So in short: both cards work in my laptop and I successfully installed RaspBMC on both. However, only the new card works when inserted into the Pi. [21:15] <Xano> shiftplusone: ShorTie perhaps? [21:16] <shiftplusone> Xano, try pressing the card against the contacts with your thumb while power up the pi. Does it begin to boot then? [21:17] <maybethistime> maybe the card has been inserted so many times the contacts are worn down? [21:18] <MY123> maybethistime: I solder cards to avoid that. [21:20] <shiftplusone> which is of course completely unnecessary and ruins the pi. These adapter boards are nice and thick, making good contact http://www.adafruit.com/product/966. 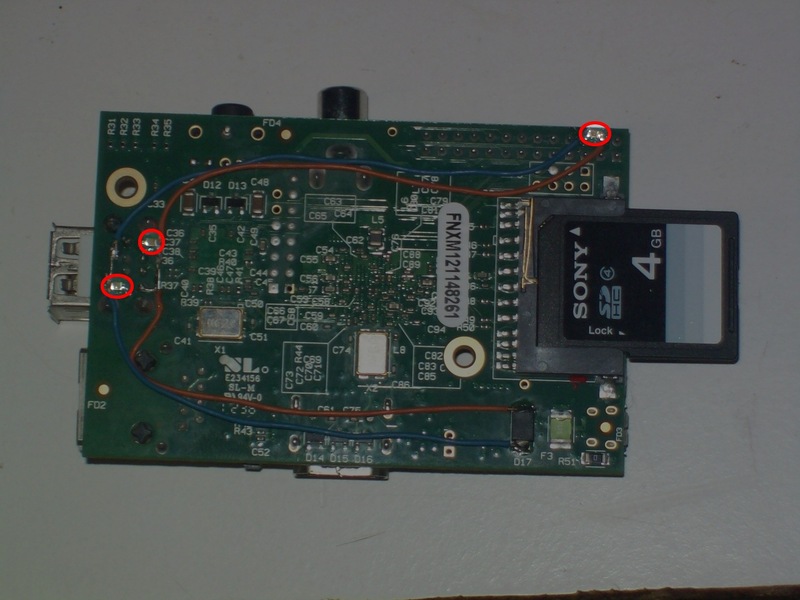 Alternatively, the sd card slot can be replaces with a metal one with the same pinout. [21:22] <MY123> shiftplusone: It was to a Pi with an UPS, a year and a half uptime. [21:27] <shiftplusone> I can understand the humans part, but... dust? [21:29] <MY123> Xano: You can first try with some paper. [21:41] <Xano> Paper & scissors rock! [21:42] <shiftplusone> Used some arts and crafts to make the card thicker? [21:47] <willmore> I was surprised when I saw the SD card socket they picked for the rPi. Seemed like a failure waiting to happen. B+ is much better. [21:48] <Xano> B+ is mini- or micro-SD? [21:49] <willmore> yeah, the click/click metal cage is wonderful. [21:49] <willmore> Plus the little cards are stiffer to start with. [21:50] <willmore> What bugged me was the way the card was only held down on the sides. With all of the pressure from the contacts, the center flexes out a lot and will only get worse with time. [21:50] <Xano> I am secretly hoping for a slightly faster model to come out, as the Pi has some trouble running XBMC smoothly sometimes. [21:51] <willmore> A quick fix would be to flue a stiff piece of plastic over the socket just over where the pins are--so the card can't flex. [21:51] <Xano> willmore: That was my problem exactly. Although the paper I added only presses the card down on the sides, it does so enough to ensure a proper connection. [21:52] <willmore> shiftplusone, ahh, good. I didn't think my hack was unique. Glad to know it's been tried--and supposedly works. [21:52] <Xano> Is that a brand or so? [21:53] * willmore has been talking about teargas recently and got confused. [21:53] <Xano> willmore: Gaza or Ferguson? [21:53] <willmore> No, CA stands for CyanoAcrylate which is the chemestry the glue is based on. [21:54] <willmore> Xano, both. A friend was saying that they're using a gas in Ferguson which would be a warcrime if used in war. [21:54] <willmore> But, there are so many different kinds of 'teargas' that it's hard to have a discussion of the topic without being more specific. [21:55] <Xano> willmore: There are more obvious clues of ‘war’ in Ferguson than just the teargas. What happened to police colors and uniforms? Those guys look like the bloody military. [21:55] <willmore> It's like saying 'glue' or 'tape'. There are so many different varieties that you can't argue 'glue vs tape' without talking about which specific kind of each. [21:55] -tomaw- [Global Notice] Sorry about the noise - it seems one of our hubs had some issues so we've worked around it for now. [21:56] <willmore> Xano, as an american, I was still surprised to hear it. Especially what exactly they were handing down. [21:56] <willmore> maybethistime, they used to--at least what of it is legal to have. [21:56] <Xano> willmore: I am absolutely not surprised they have riots on their hands. [21:58] <willmore> Okay, my B+ at idle with only ethernet plugged in ran for 4:30 on my little '2200 mAh' battery. [21:58] <willmore> Xano, I don't know the specifics on what kind of teargas were used in both cases, so I can't say. But, yeah, superficially, it doesn't look good. [21:59] <Xano> willmore: Regardless, what happened to de-escalation? When did that cease to be a police task? [21:59] <willmore> That said, the US federal government is not the one doing this. This is a local level government. The State and Federal governments are investigating them and have told them to chill the heck out. [22:00] <willmore> Last I heard, it had been de-escalated. Didn't some state level dude come in and take over and calm everyone down? I haven't listened to the news today. [22:01] <Xano> willmore: What I mean is that as police you can’t just barge in, displaying force and barking orders. That’s now how people work. [22:02] <willmore> maybethistime, most of that is just military versions of civilian vehicles--or silly restoration projects. [22:02] <willmore> "and how's that been working out for you?" [22:03] <willmore> Do they still use tanks? [22:03] <willmore> Same thought, Xano. [22:04] <willmore> Seems like the armor vs weapon balance has moved out of their favor. [22:51] <DanDare> makes sense. Then you can say "See, how it's really useful?" [22:55] <Tenebrous> willmore: 4h 30 is pretty good! [23:21] <beckerben_> is this a good place to post a question about reading the state of a GPIO pin? [23:25] <willmore> Tenebrous, nope. I've only done mine manually. I need to figure out how to get it to work on debian. [23:31] <beckerben_> shiftplusone, interesting, i have experimented with a magnetic switch wired to 3.3v and to GPIO18, when it is "closed" i get a consistent 1, but when i disconnect the magnet, the state alternates between 0 and 1, i was expecting to get a consistent 0 in this scenario? [23:47] <ShadowJK> what is slice? [23:49] <gordonDrogon> and on that note, zed time..
[23:51] <shiftplusone> ShadowJK, a media player based on the compute module. Started by a few folks from pimoroni, the raspberry pi foundation and some other guy.